Tired of charging your iPhone the same way again and again? Or maybe never even thought of charging in a different way? Why not try a different approach this time? You might be interested in the amusing Foaster, a charging toaster which has recently launched in Kickstarter and has garnered around $5868 to reach the goal of $40,000 in 21 days to get the production going. According to the Covena Design, producers of Foaster, they have found out in their research that most of the users tend to charge their phones in the kitchen! This might be true in the case of US but not so true in Dhaka. Over here users charge their phones from any random electrical point they find! As most of the users choose the kitchen venue to boost their smartphone’s life, Covena wanted the device to match the environment and thus the toaster design. 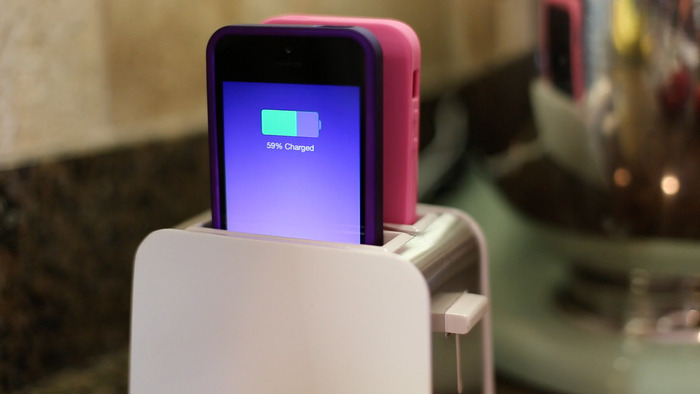 For now, Foaster will only support iPhone 5, 5S and the 5C models and can charge two devices at once. Also in the research findings, people use two hands to charge their device. One to hold the phone and the other, for the connector. Foaster eliminates this too. The potential users would just have to put the phone in the toaster with one hand. Although using two hands might be a negligible factor but why not save some time? The slots in the toaster have been optimised well based on the dimensions of the various iPhone models. 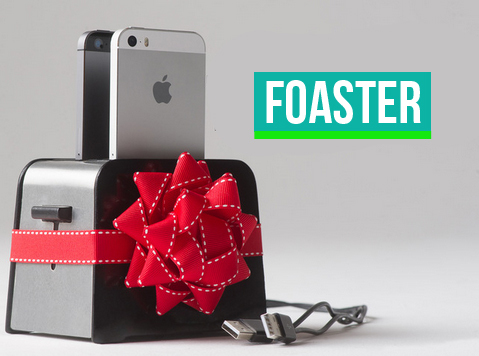 Sadly, if you use cases for your iPhone, it wont fit in the Foaster. So before you charge, you have to open the case and then put in. The best thing about Foaster is that it eliminates cord spaghetti that is common in all the houses. The 3 foot long cables and the brilliant design allows the un-needed cord to be stored inside the device and only have the portion of the cord that needs to be connected to the electrical outlet. Love the concept? Why not back their project? If you want to help Foaster become a reality, do visit the kickstarter page and pledge!